Explore a town full of horrors, oddities, and mysteries. The follow-up to 2016’s cult horror hit Yomawari: Night Alone, Yomawari: Midnight Shadows introduces two brand-new girls, Yuiand Haru, to the night and the spirits who haunt it. Separated by a mysterious attacker, each girl will explore haunting and bizarre locations, face the terrors of the night, and test their courage and wits to survive and reconnect with one another. A Complete Town to Explore – Enter abandoned homes, climb through junk yards and up mountains, or venture into dark sewers in your search. 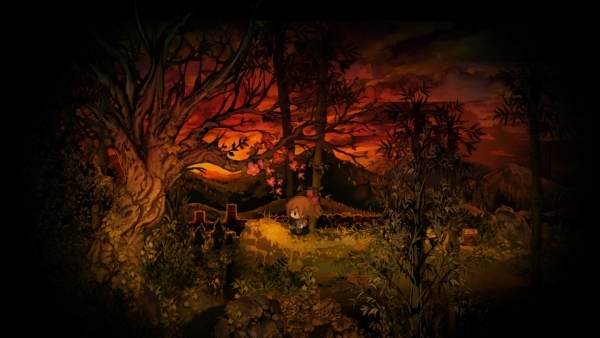 Two Views of the Dark – Search the night and explore a town as either of Yomawari: Midnight Shadow’s two characters. What you find with one may serve as a clue, or even save the other. Horrors, Oddities, and Mysteries – Beware of Japanese spirits that come to life, as you encounter horrors birthed from nightmares, oddities that will make you question what is real, and mysteries that may just keep you up at night.